Monsterpalooza descends on Pasadena. 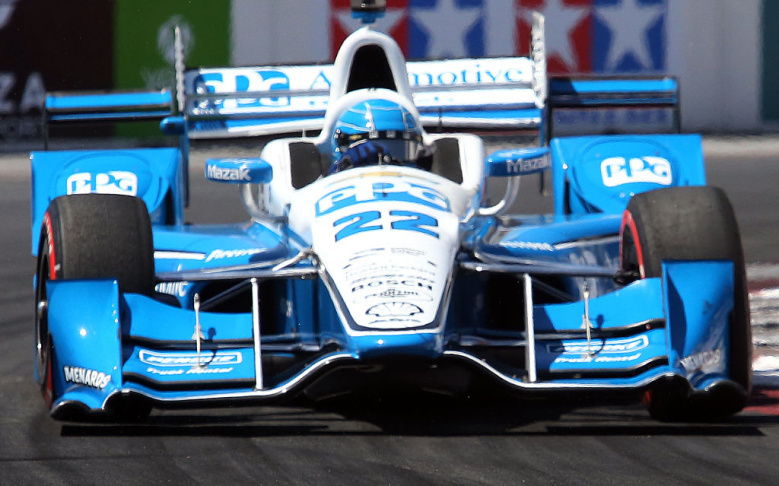 The Long Beach Grand Prix revs up. Record Store Day returns with a new pressing. The Festival of Books cracks open its spine. 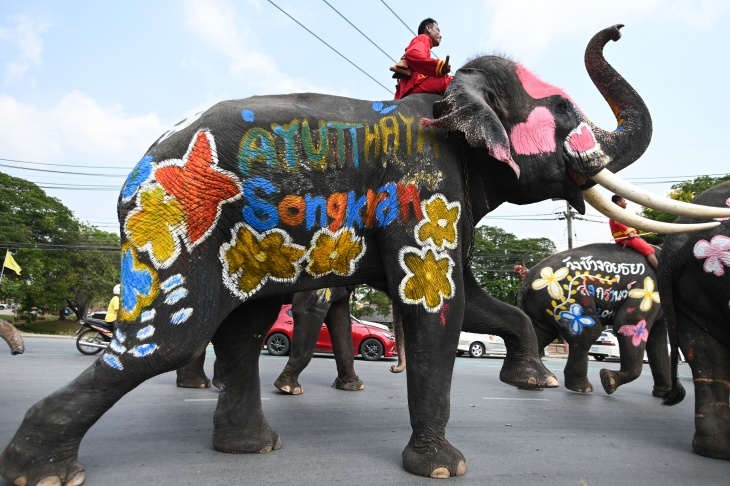 Thai New Year celebrations kicks off. And the L.A. River gets its annual cleanup. 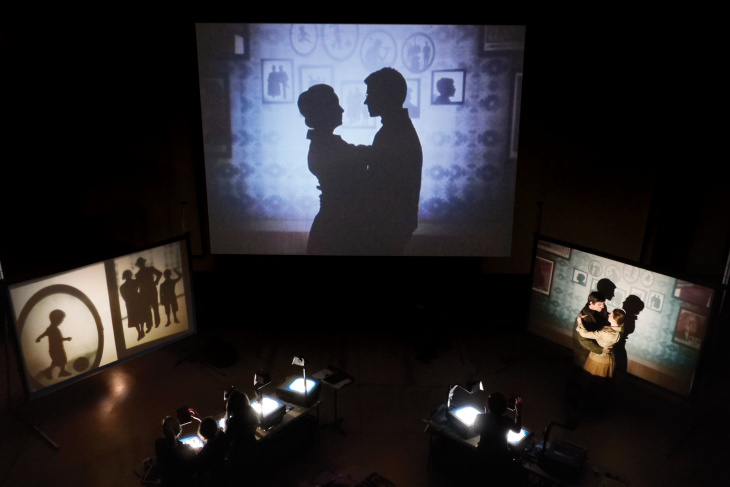 The production features six puppeteers, hundreds of paper puppets, seven overhead projectors, two cameras and three screens to create a live "movie" in front of the audience. The work is a rumination on death and dying with vignettes about death taking an unexpected holiday, an elderly film projectionist finding a new lease on life and a ghost exploring the afterli fe with her iPhone. The show is accompanied by musicians and live sound effects. Fringe at the Diavolo Studio Black Box — 616 Moulton Ave., downtown L.A.
Now in its seventh year, the festival celebrates contemporary dance in LA. The first weekend, held at the Luckman, features mainstage performances by Diavolo, Ate9, Invertigo Dance Theatre and Kevin Williamson + Company. The second weekend, in DTLA, features works by Carpool Dance Collective, Jess Harper & Dancers and Emergent Dance Company as well as guest artists from the Seoul International Dance Festival. The two-day conference features art history lectures on Mexican murals using the work of José Clemente Orozco, Diego Rivera and David Alfaro Siqueiros as touchstones. The weekend also includes a discussion on the book, A Scholiast's Quill: New Critical Essays on Alfonso Reyes and culminates with the premiere performance of I a Frida Kahlo, a solo show by Mexican actress Alejandra Flores. The annual street racing event features six races throughout the weekend, plus a lifestyle expo, a family fun zone and a Mothers Exotic Car Paddock. Music concerts add to the festivities with El Tri headlining the Fiesta Friday Concert and the Cold War Kids headlining Saturday night. The concerts are free to race ticket holders. FRIDAY, APRIL 12; 7:30 p.m. There's magic in the air as illusionist Vitaly performs his tricks and sleight-of-hand. He has already fooled Penn & Teller on their show Fool Us. Now, he'll try his hand with an L.A. audience. Theater students from L.A. County High School for the Arts present an evening of the Bard's works. The largest lit festival in the country returns for its 24th year, bringing together some of the biggest names from the book world and beyond. The lineup features more than 500 authors, artists, musicians, chefs andcelebrities including Chelsea Clinton, Eva Chen, Ruth Reichl, Valerie Jarett, Father Gregory Boyle, Matthew Gray Gubler, Tayari Jones, Karamo Brown, Joyce Carol Oates and Susan Orlean. Most outdoor activities and talks are free. SATURDAY, APRIL 13; 11 a.m. - 3 p.m.
Travel back in time and watch an outdoor fashion show with the theme "Romance Through the Ages." As models don outfits and gowns from 300 years of fashion history, narrators tell stories about the era. 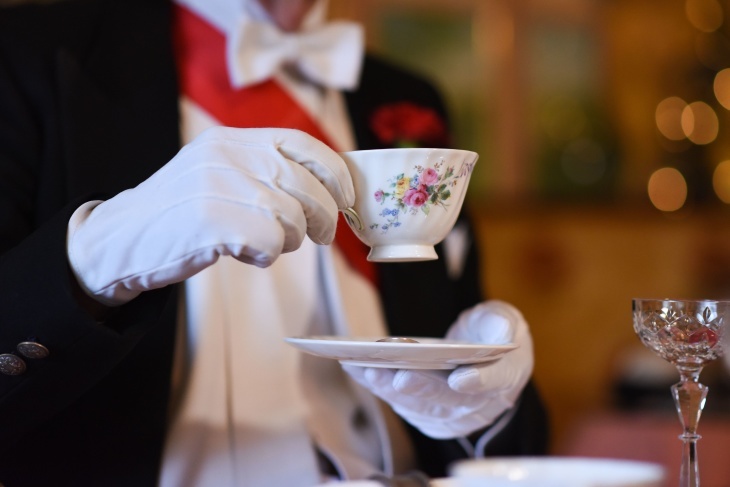 While watching the show, guests can enjoy a menu of tea, sandwiches and desserts. Cosplay is encouraged and reservations are required. 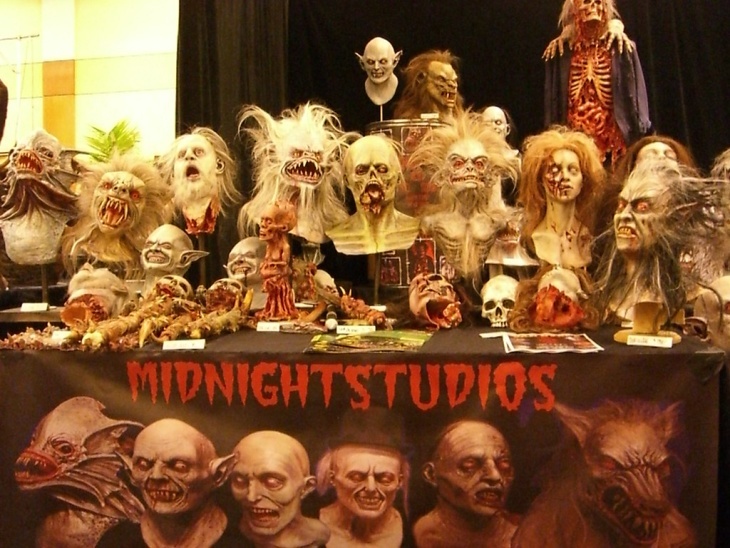 If you're into movies, monsters, makeup and FX, this expo is for you. More than 450 exhibitors and vendors sell collectibles and related products. When you're doing some spooky shopping, check out makeup demos, presentations and a monster museum. Celebrity guests include Bruce Campbell, Paul Reubens, Vivica A. Fox, Jason Patric, Henry Thomas, Dee Wallace and Linda Blair. SATURDAY, APRIL 13; 10 a.m. - 12 p.m. 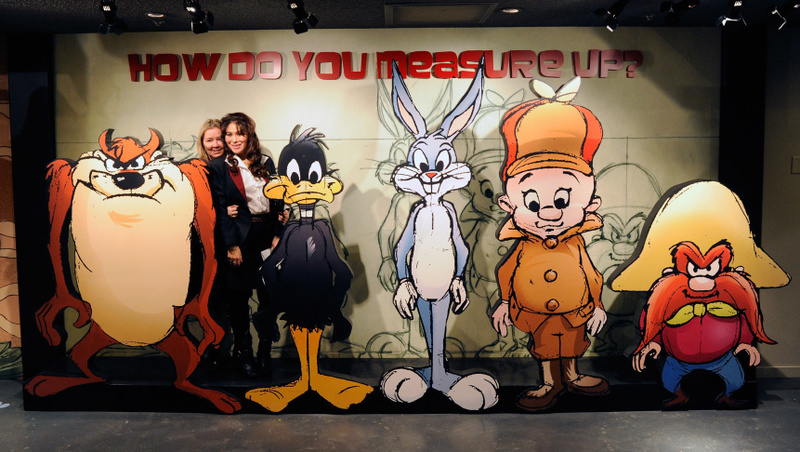 The repertory theater launches a new monthly club dedicated to animation. Celebrate the artistry of the medium through an assemblage of classic shorts and rare gems. The Japanese cultural festival offers family fun, including storytelling in English and Japanese, food (including plate lunches), martial arts demos, dance, drumming, music performances, flower arranging, bonsai workshops and a tea ceremony. Celebrate indie record stores by heading to a participating retailer and pick up any number of special releases including exclusives from Frank Black, The Blasters, Courtney Barnett, Anderson.Paak and Dr. Dre. Special events include a pop-up from NYC store Tropicalia in Furs pops at Rappcats in Highland Park and a massive sale at the Record Parlour in Hollywood. Hundreds of candy-filled eggs are hidden throughout the Arroyo Adventure, just waiting to be found and eaten. 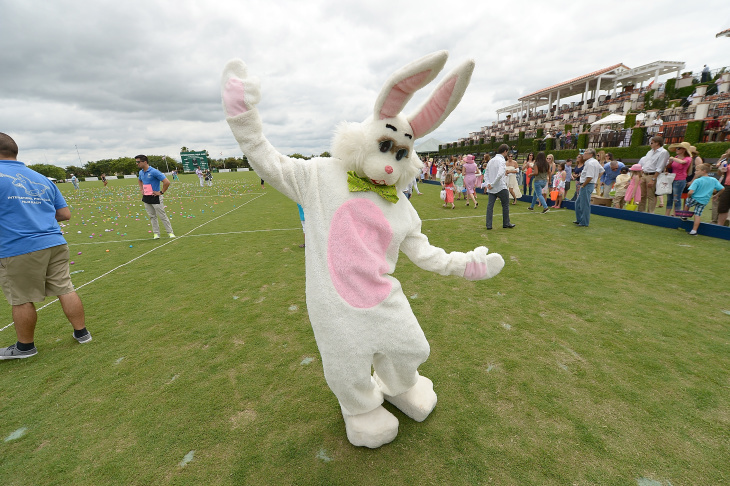 In addition to the egg hunt, the museum also offers family activities, including bunny ear-making and dance lessons — for the bunny hop. The hunt times vary depending on age and preregistration is required. SATURDAYS, APRIL 13, 20 and 27; 9 a.m.
April is Earth Month, so give back to our community — and planet — by taking part in the Friends of the Los Angeles River's 30th annual cleanup event. Volunteer for duty for the Upper River (San Fernando Valley) on April 13; take on the Mid-River area (Glendale area) April 20 or the Lower River on April 27. There are nearly a dozen cleanup sites along the course of the river to choose from. Pre-registration is recommended. SATURDAY, APRIL 13; 7 - 10 p.m.
Eat and drink for a good cause. Food Forward recovers and donates fruits and vegetables to local hunger relief efforts, and this spring event serves as a fundraiser for the nonprofit. 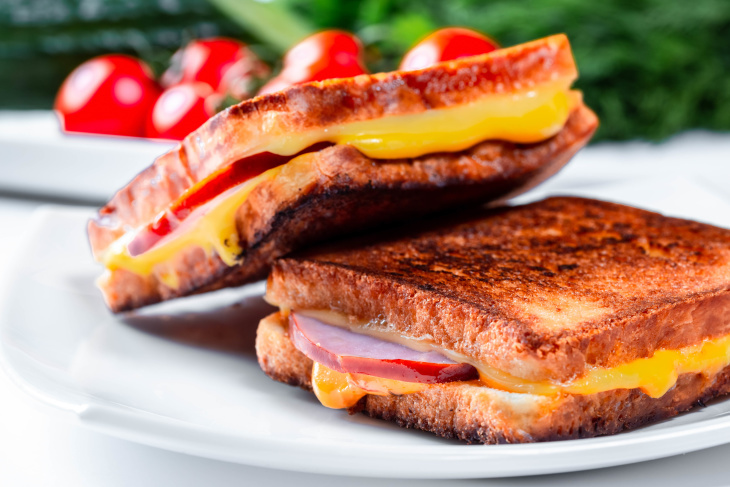 The evening includes Clementine's gourmet grilled cheese sandwiches, Smog City Brewing Co's Kumquat Saison made out of harvested backyard kumquats and bites from Sammy Monsour of Preux & Proper. VIP ticket holders get early access to a pre-party with master mixologist Matthew Biancaniello's "cheese plate" — a drinkable array of cheese and charcuterie-infused vermouths. 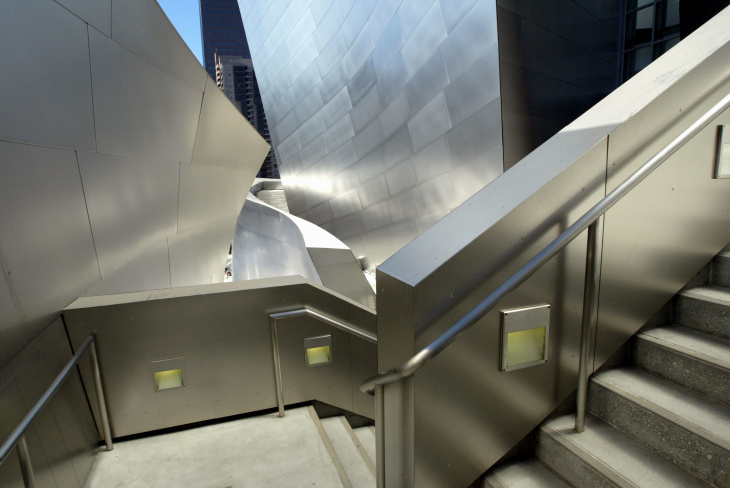 SATURDAY, APRIL 13; 10 a.m.
Do some serious leg work and cardio while learning about Echo Park on a tour that includes the Baxter Stairs (possibly the city's longest), Fellowship Park, Red Hill, the modernist Harwell Hamilton Harris house and the restored Lautner house. This is a two-hour, moderately strenuous outdoor walk. Building interiors are not included in this tour. SATURDAY, APRIL 13; 8 p.m. The performer, best known for her Paramount Network show Younger, has a solo show covering some of Broadway's beloved tunes. She's probably practicing for her next Broadway role as Marian in The Music Man opposite Hugh Jackman. The show features stand-up performers being drawn live while doing their sets. The comics don't know what the animators are drawing and the animators don't know how the comedians will react. The lineup includes laughs from James Adomian, Sasheer Zamata and Alice Wetterlund and sketches by by Mike L. Mayfield, Ashlyn Anstee, Neisje Morrell and Chris Fairbanks. Is your wardrobe less than dandy? Shop the 30,000-square-foot expo and marketplace filled with new and vintage clothing and accessories. That includes cosmetics, grooming products, hats, shoes, eyewear and jewelry. The weekend features live entertainment, workshops and talks. 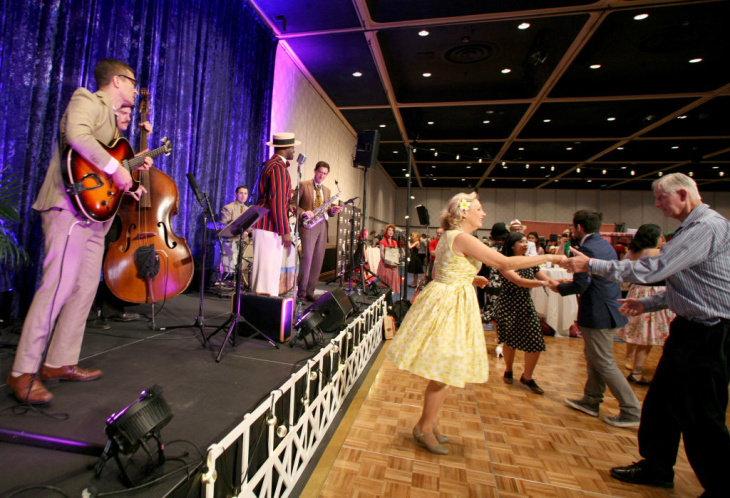 Dandy Wellington and his Band provide the soundtrack to both days, so bring your dancing shoes. SATURDAY, APRIL 13; 11 a.m. - 7 p.m. The arts community opens its doors for a day of exhibitions, installations, performances, live music, food trucks and family-friendly activities. Highlights include a book sale at Craig Krull Gallery, yarn egg decorations and ornament Making at Copro Gallery and an opening reception for Marc Katano: When Water Freezes at Leslie Sacks Gallery. There's limited parking, so Metro, carpool or rideshare are recommended. SATURDAY, APRIL 13 - SUNDAY, APRIL 14; 8:30 a.m. - 6 p.m. The Thai New Year coincides with the arrival of spring, and Songkran celebrates goodwill, love, compassion and thankfulness. The temple's festivities include a water blessing at the Buddha statue by the monks, as well as prayer, chanting, building sand pagodas and castles, classical Thai music, dance, arts and crafts — and, of course, food. The French bread pizza specialist keeps it simple. On Saturday from 11 a.m. to 4 p.m. at Melody wine bar, choose from cheese ($5), pepperoni ($6) and Standing's Butchery sausage ($6). On Sunday, the pizza makers join the Hecho Con Amor guest chef dinner series with two seatings at 5 and 7:30 p.m. Upstairs in the private dining room, a $25 ticket gets you two pieces of French bread pizza (cheese or pepperoni), a small chopped salad and an adult beverage. For this event only, the baguettes will be specially made by Milo & Olive. 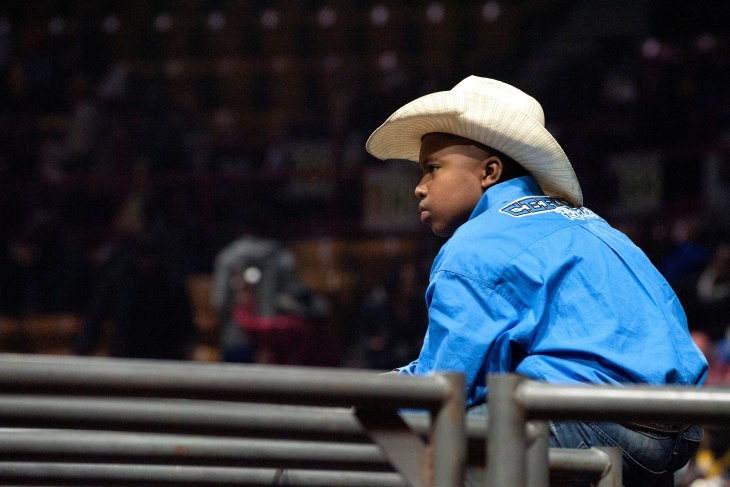 Kids tickets are also available. SUNDAY, APRIL 14; 2:30 p.m.
SUNDAY, APRIL 14; 12 - 2:30 p.m.
Meet in front of "La Tienda" Bookshop at La Plaza de Cultura y Artes — 501 N. Main St., downtown L.A. This walking tour visits sites of Los Angeles's four original cemeteries. Some were relocated while others were built over. Hear ghost stories and histories of Campo Santo at the Placita Church for early Indigenous Catholics; Fort Moore Hill, the original Protestant burial site; the Old Jewish Cemetery near Dodger Stadium and the Old Calvary Cemetery. The entire circuit is about three miles and has a few hills. SUNDAY, APRIL 14; 2 p.m.
Calvary Cemetery — 4201 Whittier Blvd., East L.A.
Parishioners from Resurrection Parish in East L.A. (and other parishes in the Archdiocese of Los Angeles) will reenact Christ's Passion — retracing the final journey of Jesus Christ, from his grand entry into Jerusalem to Calvary and his crucifixion. The cemetery and grounds will stand in for the Roman senate, the Garden of Gethsemane and Mount Calvary. Miguel Alfaro will portray Jesus, as he has done for the past 20 years.